Why SYNERGY STONES at Home? Whether just for 2, or you have a small tribe, Family Time is the best time for massage! Heat 1 or 2 SYNERGY Hot Stones, sit behind each other, massage slow and let the heat sink in. After a few Minutes, trade places or pass them around to share the good sensations! Make your time together more about each other than your television or devices. 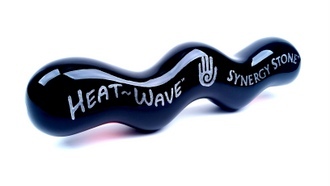 Feeling better is easy with our SYNERGY hot stones. Caution: Daily use will develop a habit of wanting Quality, Healthy Family Massage Time! 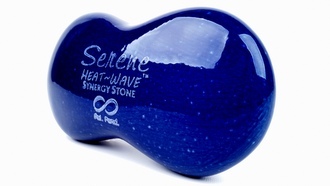 SYNERGY stones heat fast to get relief When, Where and How you need it. Microwave for 1 minute then Massage anywhere for 10-20 minutes. 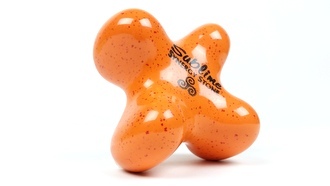 Reheats in 30 seconds so you can swap places and keep massaging each other easily. Sit back, relax and iron out the kinks with SYNERGY hot stones. Take them to bed for sleep inducing neck massage. Turn ordinary evenings into healthy moments of connecting to each others needs. Regular Self-Care Massage using our SYNERGY hot massage stones keeps your body and muscles feeling good. Heat them up. Turn on your fav show. Massage your own neck and shoulders for 5-10 Min's. The Synergy of Heat, Pressure and Motion together activates your bodies own "Healing Response". Regular focused massage on your problem spots has lasting health benefits aside from simply feeling good. Keep your Synergy Stone handy. Use it Daily. Feel Better! How will I personally benefit? Massage is powerful medicine when applied often. 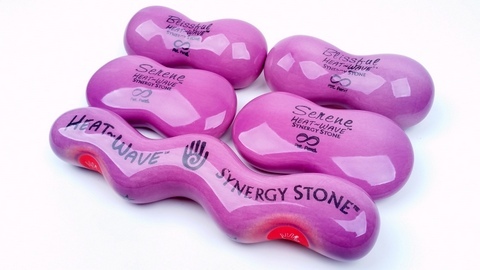 Synergy Stones make it easy to massage yourself when you need it the most. Daily use can produce long lasting benefits because you are bringing healthy attention to what ails you. How will my family benefit? You'll benefit by having an easy way to do more than eat ice cream and watch TV with your loved ones. Take 5-10 Min's to massage each others tension away and live happier. How Do I Heat Them? 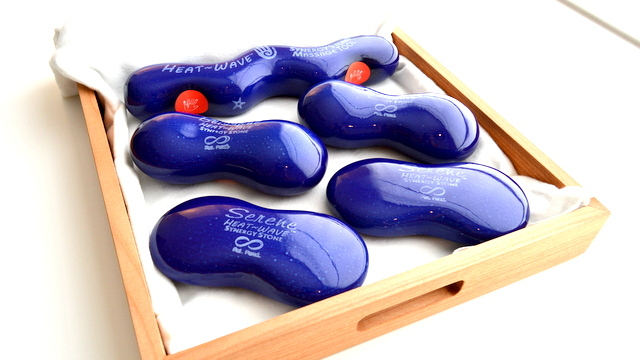 You can heat Synergy Stones between 1 or 2 BodyMed Heating Pads, in hot water, a microwave oven or any suitable method. You can also use them at room temperature or even cold. Which Stones do I need? Most Families start with the long HEAT-WAVE Stone. They all work great though so just Watch the demo videos for each type to help you decide. 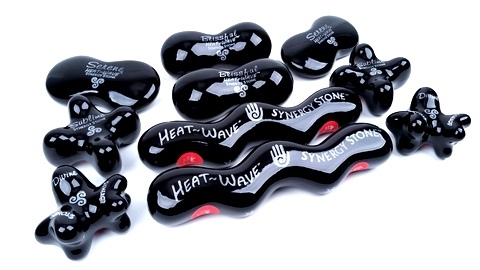 Original Black Synergy Stones are for use with oil against the skin. Ultra-Smooth Colored Stones are mainly for over clothes but can be used against the skin with oil. The 5 Shapes allow you to perform a wide variety of massage techniques that common round stones can not perform. Each shape is contoured to conform over the body and fit securely in your hand. Start by watching the demo videos. Then add the Stones you want to your shopping cart.Then decide if you'll be using your microwave oven or need a BodyMed Heating pad to heat your Stone(s). Once you receive your Synergy Stone(s), heat them up and get ready to enjoy. Keep them warm in the fleece cozy until situated. Then after watching the demo videos, apply slow gentle massage to soothe out the knots. You can exchange or return any part of your purchase within 30 days. We want you to be happy with your choices. Once you start enjoying Synergy Stones it is difficult to do without though! They are that good. How do I learn to use them? Learn to use Synergy Stones simply by practicing on your own or with a friend, both giving and receiving, until you are comfortable and confident. We provide demonstration videos to watch and gain suggestion from. Any gentle plant based or non-harsh cleaner will work to clean your stones. Once in a while, we suggest a thorough washing with either a spray cleaner or soap and water and letting them air dry overnight. We are developing several classes to offer both online and in person. Sign up for our informative newsletter to hear about those happening in the near future. How long has Synergy Stone been around? 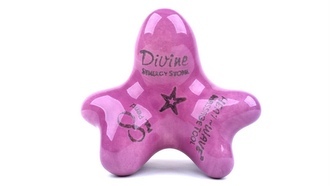 Synergy Stones are the creation of Scott Wynn, LMP of over 20 yrs. He started on his mission to make his job easier nearly 10 years ago. Over 7 years he sculpted over 100 specialized shapes. After testing vigorously along the journey, he perfected the 5 that exceeded his expectations and coined them "Synergy Stones". He immediately realized the opportunity to share his creations and improve others lives and prolong careers and has since been hand making them with his family for thousands of other professionals around the world. Our door is always open to questions, comments or constructive feedback. Email us or call anytime. We are personally committed to listening to your questions and helping you understand what we and many other professionals have already discovered. Choose from the Five unique SYNERGY Stone Shapes. Remember that having at least 2 is best so that you can have one in each hand, or have one heating while the other is in use. For a more immersive experience choose from the CORE Set of FIVE or the ADVANCED Set of TEN SYNERGY STONES. The ADVANCED Set is the most popular choice because it has 2 of each Stone and gives you the most versatility. For everything you need to "Synergize" your Studio or Spa choose a Complete Water-Free System. An investment in your career that your hands and your clients will thank you for every day.